I'm not one to over-specunosticate, but sometimes things are what they are. Like the Amazon tablet. At a bare minimum, Amazon has been working on a multitouch color device with Wi-Fi since at least early last year, if not earlier. It bought a multitouch company called Touchco, and merged it with Lab126, the subsidiary that works on Kindles. Then it put out calls LCD specialists. Another name for a multitouch color screen device? A tablet. Size is a legit question! There's a lot different tablet sizes: 7 inches, 8.9 inches, 9.7 inches, 10.1 inches. And Amazon's made Kindles in at least two different sizes: 6 inches and 9.7 inches. If the Kindle tablet took on the same size as the regular Kindle, the screen would grow to 7 inches, and look a lot like the Nook Color. At 9.7 inches, it'd look a lot like this other tablet. Supposing reading is the core of the Kindle tablet—not a crazy supposition, but maybe Amazon will wanna blow our minds—the 7-inch tablet seems the most likely. And it's not like there wouldn't be anything for Amazon to do there: There still isn't a great 7-inch tablet. It's Amazon's nut to crack, in other words. On the other hand, it'd be surprising if it was crazy powerful, mostly ‘cause it wouldn't make sense for Amazon to make it crazy expensive. If it were to compete on specs, and cost as much as other tablets like the Galaxy Tab or Xoom, it would have to be a full-fledged tablet, and I don't think that's where Amazon would wanna go. Cheap and focused makes the most sense. But maybe not! Let's consider the software and content. This is the meat of the Kindle tablet question, as it were. The big one: Is a Kindle tablet going to be a full-on tablet, competing with every other major tablet out there, or something narrower in scope-a highly focused, limited-but-excellent experience that appeals to a definitive audience? It's the latter, I think-to an extent. Android makes sense, for a lot of reasons. It's free to use. And it's got a lot of apps, ready to go. Maybe the biggest clue is the Amazon Appstore for Android. Right now, it's a high-quality stand-in for the actual Android Market, at least in terms of the apps and shopping experience, since Amazon has a higher bar for apps. But you have to ask, "Why would Amazon launch its own App Store?" Amazon does get a cut of every sale, at rates similar to Apple: It takes 30 percent of the sale price of the app. Less, if the app is on sale. And while the market for Android apps is growing, Amazon's store won't be on every device, getting a cut on every sale. It requires a Phd in dork to put the Amazon Appstore on most Android devices now, and it's literally impossible to use it on AT&T devices at the moment. (Though in the future, it'll come pre-loaded on Android phones from Cellular South and tablets from Velocity Micro and Viliv.) If Apple was "barely break even" on the App Store, going through all of this trouble to get a cut of a small slice of a small percentage of Android app transactions is not the road to deep profitability, even for a retailer who's used to making small margins on selling goods. Obvious answer: It's possibly for a future Amazon Android device. If the Amazon Appstore is really for a future Android tablet, it seemingly puts Amazon in the same position as the Galaxy Tab and Nook and 10 million other Android tablets. But I don't think that's entirely true, if the Amazon tablet experience is highly curated, highly polished. In other words, the Android tablet that's made for people. The major problem with, say, the Xoom right now is that it's fairly lacking in apps and content. But an Amazon Kindle tablet, while its main focus could be reading—with a killer Kindle app and book-shopping experience—it could pull in a bunch of other Amazon services as well, creating a tablet that's very defined, but also fairly capable. Amazon just launched free unlimited video streaming for Prime members, and it has a huge rental catalog. There's the video content. Amazon's got its music store. And now it's got an Appstore, filled with apps that it deems are worth selling. The catch is that it'd have to make such a tablet look and feel and work amazingly. The current Kindle works as well it does after being refined for three generations, and because it does just one thing. It has a clarity of purpose. The Nook color failed at feeling awesome because it felt limited in the wrong kinds of ways—why can't it run Android apps if I want to? 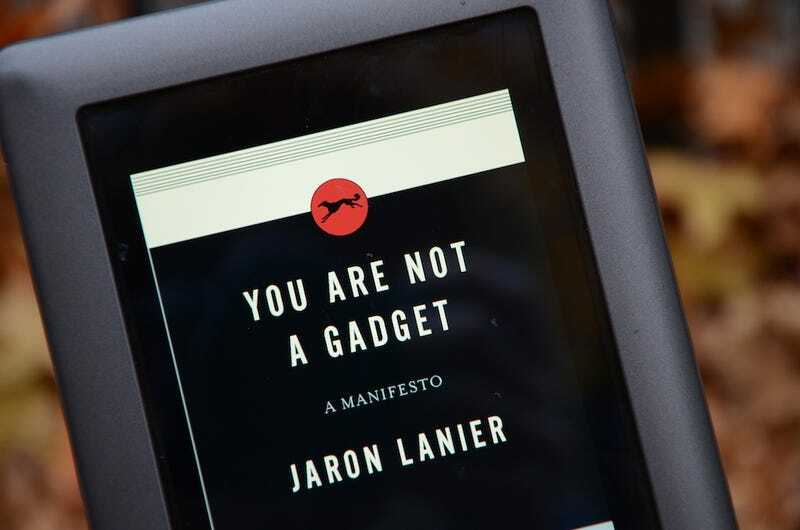 The trick to a Kindle tablet is to make it feel as excellent as the original Kindle for people who wouldn't want to use all of the other tablets out there without making it feel too limited—all while convincing people to get it instead of an iPad. A reasonably good experience and low price—lower than the iPad—is the probably the only way to do that. Fighting the iPad and other Android tablets head-on would be wading into a crowded, bloody field that it likely wouldn't come out looking so very shiny from. Defining a new kind of tablet, on the other hand, lets Amazon avoid all of that. It just needs to be awesome.